On Wednesday 22nd 2017, Miss Supranational 2017 kicked off the preliminary rounds with the Best in Evening Gown. 64 contestants dressed in their finest gowns competed for the title of Best in Evening Gown as well as the first preliminary competition in the race for Miss Supranational 2017. The event was shown live on facebook and youtube, and fans were able to vote on Vodi App and Facebook Photos for their favourites. With the difficult job of judging the contestants were Srinidhi Shetty (Miss Supranational 2017), Diego Garcy (Mister Supranational 2017), Gerhard Parzutka von Lipinski (Executive Producer – Miss Supranational), Anna Bubnowska (Choreographer), Alan Green (US Television Producer) and Tamara Almeida (TV Reporter / Model). The Winner of Best in Evening Gown will be chosen by the Official Judges from the Top 25 and announced during the Finals on December 1st 2017 in the resort city of Krynica Zdroj, Malopolska, Poland. 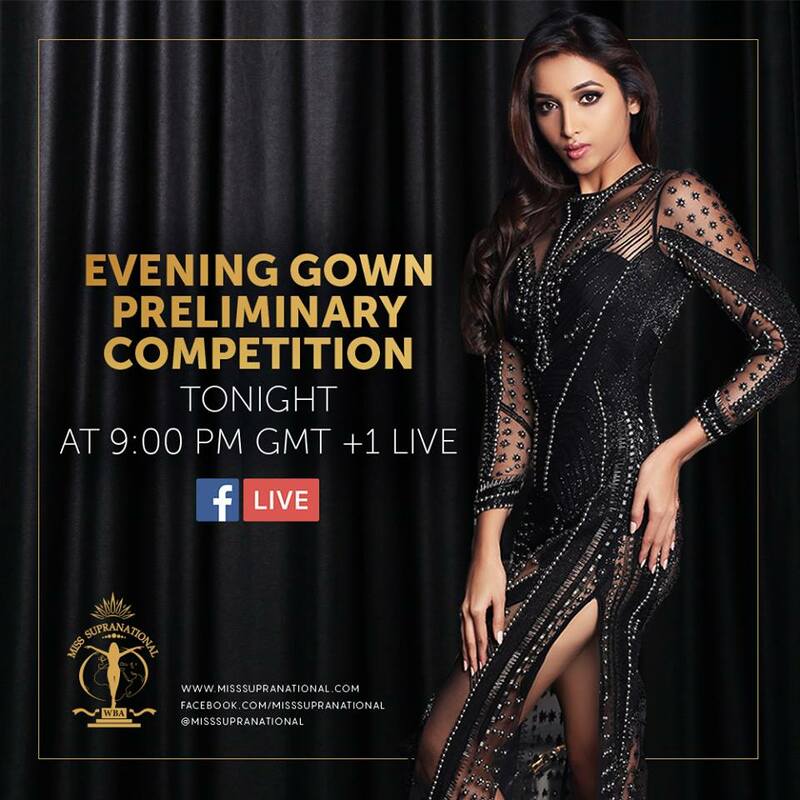 The reigning Miss Supranational, Srinidhi Shetty of India, will crown the 9th titleholder of Miss Supranational in an exciting evening of glamour, fashion and entertainment in the world’s most spectacular televised pageant.